A Pessimist Is Never Disappointed: Dig Wicked New Tune From Aurelio Valle (ex-Calla) Here! 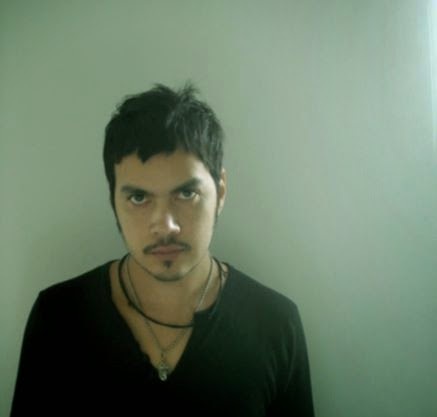 Dig Wicked New Tune From Aurelio Valle (ex-Calla) Here! This reminds me of Barry Adamson. I can think of no higher praise for this solo cut from Aurelio Valle, one-time frontman of Calla. From his forthcoming Acme Power Transmission, out in a few weeks, "Superhawk" is all coiled menace, near-whispered vocals, and textures out of a dream. I get a sense of classic Primal Scream here -- Vanishing Point era, at least -- and Nick Cave's Bad Seeds. For now, follow Aurelio Valle on his Facebook page here. Or on his official website here.